Church discipline is something that we talk a great deal about but seldom do anything about it. What should we do when another Christian has sinned against us or caused us to stumble? What is the biblical principle of correcting another believer? Discipline means taking corrective measures as punishment in order to maintain the good conduct of church members. 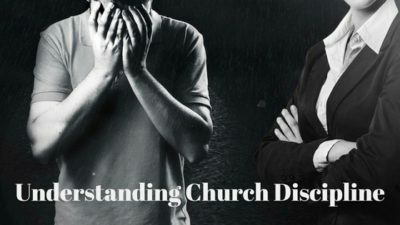 But church discipline is a not only a practice that is seldom made effective in our churches today, it is also a ministry that is often neglected. Now, why is this so? Is it because we have grown weak and cold, and fear to act on our principles? Is it because we have all attained a state of perfection and no longer require it? Is it because our churches are afraid of losing church members? Or are we afraid that the church will be reduced if we punish sin? Always give the person the benefit of the doubt. It is possible that he or she does not even realize what he or she has done. Or, even if the act was deliberate, our own attitude of submission and love will help the person repent and apologize. Unless there are concerns for physical safety or propriety, it is best to go in person rather than talk over the phone. By the way, don’t try to prove that the person is wrong and you are right. Your objective in approaching the person is not to show him his faults and win the argument. Rather, your goal is to get him to listen in order to win him back to the Lord. We do not want to win the argument and lose the person. And the best way to convince someone of his sin is with the use of Scriptures. Your opinion does not matter; God’s Word is the authority. If the person who sinned knows and feels that you genuinely care for him, he will be more likely to listen and respond positively.. The witnesses you bring in are those who already know about the problem, which may include church leaders. The reason for this is to strengthen the reproof so as to cause the offender to realize the seriousness of the situation. Again, your goal is to bring the sinning person to repentance and restoration. In the passage mentioned, Jesus did not specify how this is done but other Scriptures indicate that this should be administered through the church leaders to whom God has given the authority over the church (Hebrews 13:17). But before disclosing this matter to the congregation, the church leaders should make an effort to reach out to the offender and warn him that if he does not repent before a set period of time, his sin will be made public. It is also important to note that before seeking to discipline a member, the church assembly should be at its best spiritually. This is because when a church disciplines a member, a church is actually examining and disciplining itself. We cannot discipline others if we ourselves are not disciplined. Once the matter has been made public, the church is given instructions on how to relate to the sinning person. In 1 Corinthians 5:11, Paul exhorts the church to not associate nor eat with the person. He says the same thing to the Thessalonians but then adds, “Yet do not count him as an enemy but admonish him as a brother” (2 Thessalonians 3:14-15). This means that not all contact is forbidden. We must still communicate with the person to let him know that we love him and want him back in the fellowship. But we must make it clear that we do not condone what he is doing and we can’t accept him back until he genuinely repents. Just as children in the home need discipline, so God’s children in the church need discipline. If by the time the matter comes to the whole church and the offender has not yet changed and repented, then this person cannot be treated as a spiritual brother or sister. But he may or she can only be treated as one outside the church – not hated but not held in close fellowship. I know there are a lot of questions as to what it really means to “expel” or “ex-communicate” a church member. We read about people being expelled by their churches for one reason or the other. And in almost all cases, people keep asking whether or not the expulsion was really done according to biblical principles. You may want to check out Jay E. Adams’ Handbook of Church Discipline. 5. Public restoration after genuine repentance. Until the offender expresses genuine repentance, he or she should not be accepted back into the fellowship. But how do we know that the person is sincere? True repentance involves godly sorrow in the part of the offender (2 Corinthians 7:9-10). But there should be a specified period of time for the repentant person to prove his repentance is really genuine before putting him again into positions of ministry and leadership. It is also advisable that he undergoes some discipleship training to help him grow and avoid the sin in the future. Church discipline is carried out for the spiritual restoration of fallen members as well as the consequent strengthening of the church. The church does not discipline its members for the purpose of throwing people out of the church or to feed the self-righteous pride of the leaders. The purpose of church discipline is not to embarrass people or to exercise power and authority in an unbiblical manner. Instead, church discipline aims to restore a sinning believer to holiness and bring him back into fellowship with the assembly. Discipline and discipling in the church community is never easy nor simple. But it is an important calling within the Christian community in order to help individuals mature. Discipline has to be done as it is vital not only for the (spiritual) health of the individual but also for the church community as a whole. I would love to know your thoughts regarding this matter. Do you know of somebody who needed to undergo some kind of disciplinary measures as a result of their sins? Please share your views on how the church is to properly carry out discipline among members who are sinning persistently in the comment section below. This is a handbook for pastors, elders, and all Christians who want to see how Scripture presents the process of discipline that should operate in the Christian community. It was written in response to the various concerns that threaten to tear apart marriages, families, friendships, and congregations—concerns that call for a biblical approach to discipline that can heal fractures, restore right relationship, and ensure the health of the church. Developed around the five corrective steps found especially in Matthew 18: 15-17, this book helps church leaders deal with the sorts of problems that require the church’s disciplinary response. Charting a course that combines discernment with appropriate action, this simple, readable handbook can have a profound effect on the community of believers. Brilliant post. I like the truth and boldness. 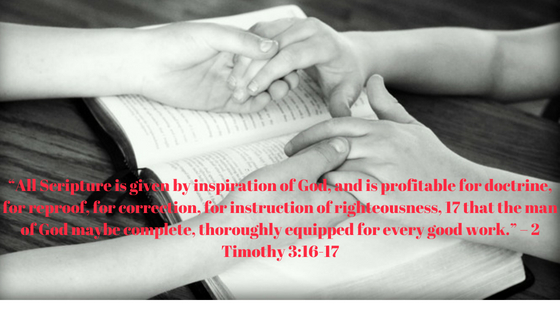 When in doubt you should always go to the word and ask the Holy Spirit to guide you in your conduct in regards to your brothers and sisters, especially when it comes to correction. Many people can take things the wrong way especially if you are aggressive in your approach. Jesus came to save the lost, and where would all of us be without him? You are so right Renton. It’s important that we spend time in prayer first before trying to approach a brother or a sister who has done something wrong. Because there are Christians, especially the new converts, who may react in a negative way when corrected. So instead of bringing them back, they might move further way and we do not want that to happen. Thanks for your comment, Shalom and God bless you more!